Initial draft grades are never accurate. However, they can inform on how much value teams got out of their draft. What does good value mean? Did teams snag the player who slipped to them? Good value. Did teams realize that the guy they liked was not going to fall to them and then traded up to get him without giving up too much? Did a team realize that the player they liked was still going to be available five or ten spots later and then trade down, picking up assets in the process and still getting their guy? Value. Nobody knows who is going to end up being the best player in the draft or who the busts will be, people have informed opinions on it but will be wrong on many accounts. One thing that can be judged is if teams got good value. There is a scarcity of talent in the NBA. And there is a scarcity of ability to acquire new talent through the draft. If teams don’t maximize their draft picks to acquire players good enough to be in the elite group of players that contribute in the NBA, then it is hard to compete at the highest level. Mistakes are costly, and are the difference between a championship team and a playoff team, or a playoff team and a lottery team. The jazz got great value with their first round draft choices. They drafted a consensus top four player and potential star in Dante Exum with the fifth overall pick and then selected Rodney Hood at 23, a player who many (including me) had in the 15 to 20 range. Conversely, did not get good value. 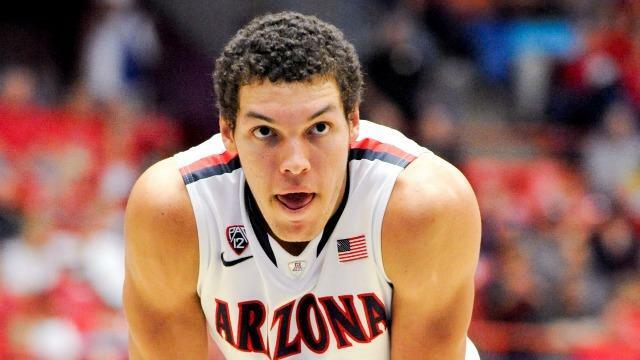 They loved Aaron Gordon, and drafted him with the fourth pick. But Exum was the better value pick and has more potential in my mind. If the Magic loved Gordon this much, they could have extracted an asset from the Jazz for swapping the fourth and fifth picks because the Jazz were praying to get Exum. The Magic missed out on a potential future pick. Later in the first round the Magic moved up from 12 to 10 to take Elfried Payton. They gave up a future first and second to move up two spots, which seems pricey, especially because the Sixers were going to take Dario Saric at 10 and then decided to hold Orlando hostage by taking Payton, forcing them to trade up. On the other side of the Magic’s draft day trade, the 76ers made a bold play and it turned out great. Philly did well to get the guy they wanted, Saric, but realized they could still get him lower and acquired a first and a second for it. Philly got great value. Many people hate Philly’s draft and many people are bashing Sam Hinkie but its fantastic Philly is once again going to be awful next year and it’s just comical. But they will have a great shot at the number one pick in 2015 and will definitely have a top four pick. It’s interesting how people keep criticizing Sam Hinkie for this draft when what he did was clearly on purpose. He did not just end up with two players who happen to not be able to play an NBA game next year. He purposely sought out Embiid because he has superstar potential and fell to the third pick because of his injury. 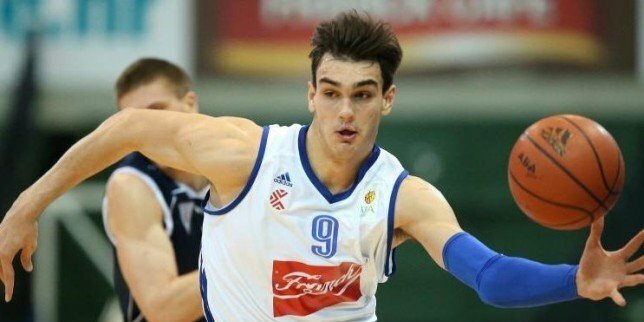 He sought out Saric because he was a top ten talent who fell because he won’t play in the NBA for two or three years. Sam Hinkie wants to be really bad once again next year, and Philly will be really bad. In the process of picking two players at spots lower in the draft than their pure talent would indicate, Hinkie also insured that Philly will have a chance at a really good player in next year’s draft. Philly is shooting for the fences by drafting players with high ceilings and who won’t play an NBA game next year. They will hit their home run or two at some point. Now lets turn to the Bulls. They need to get better. There is no knowing how good Derrick Rose will be when he returns, or how long it will take him to get acclimated once again to the NBA. It’s doubtful he will ever be the player he was three years ago but he could come back different and still great. However, if we go back to the last year Derrick Rose was healthy. The Bulls were still the underdogs to make it to finals with Miami looming large, and at this point it looks like that Miami obstacle will still be their next season. If they want to get to that championship level, they need to improve the roster. So many people are praising them for their move up to number 11 to draft Doug McDermott. McDermott is perfect for this Bulls team: he can stroke the pill, and is a great all around scorer, which are both skills the Bulls lack. Everybody loves the selection. However, don’t speak to soon9. While McDermott is really good, the Bulls did not get good value with their trade. According to my draft board, the Bulls ended up trading away the 11th best player (Gary Harris) and the 14th (Jusuf Nurkic) for the 12th (McDermott). That is not good value, and most draft boards will collaborate those draft rankings. Now the Bulls had no way of knowing that Gary Harris was going to fall to them, but the Nuggets took that risk and got two players who slipped, getting especially great value with Gary Harris at 19. 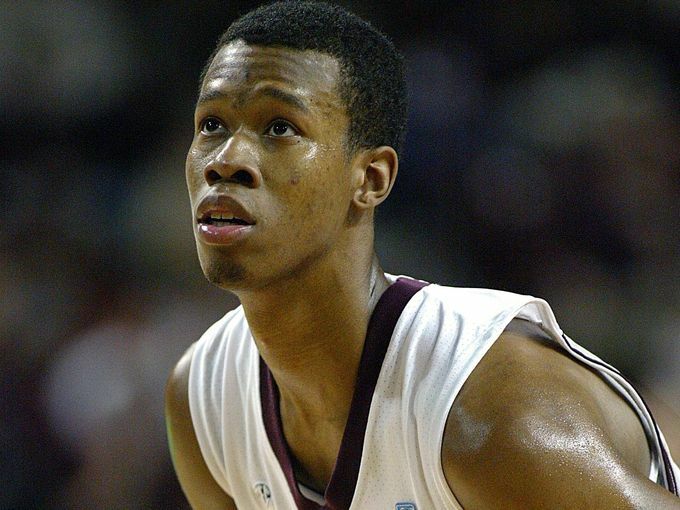 The Bulls also acquired Anthony Randolph and took on the remaining $1.8 million on his contract in the trade in what Gar Foreman explained as the price of moving up. They lost cap space! Not only did they lose draft but they gave up cap space to do it. With the Bulls in the running for Carmelo Anthony and needing every bit of cap space in order to try to lure him to Chicago, any trade that ends up leaving the Bulls with less cap room does not make sense for them to do. Melo still might come to Chicago, but the loss in value cap space hurts. Any loss in value hurts a franchise long-term. Then again McDermott could end up being better than Nurkic and Harris combined and the Bulls might still get Melo. But those things also might not happen. Given the limited size of NBA rosters, any non-maximizing of assets sets the franchise back. Now in order to get Melo the Bulls are going to have to creative in regards to the salary cap. They really cannot get enough below the salary cap to sign a free agent for more than about $10 or $11 million without getting rid of Mike Dunleavy or Taj Gibson. That is not enough to sign Melo. Most likely, the Bulls would have to agree to a contract with Melo, and then get the Knicks to engage in a sign and trade with the Bulls. The Bulls would then send Carlos Boozer to the Knicks along with an asset or two to get them to take on the last year of Boozer’s contract. Now the Knicks have said they wont take Boozer back in a sign and trade but with the pressure on and with some incentive from Bulls they would probably be willing. A sign and trade would allow the Bulls to stay over the cap and still get their guy. If the Bulls trade Boozer for Melo without any other contracts being involved (the Bulls sending them a 2015 first rounder in the trade for example) then the maximum first year salary the Bulls could give Melo is about $21 million due to trade limitations for teams above the cap. Here is how the math works out. The Bulls cannot receive more than 125% plus 100,000 of the salaries they send out. Boozer is making $16,800,000, so multiplied by 125% it ends up being around $21 million. Melo’s contract could have escalating salary’s in the upcoming years but unless the Bulls include another player of their own, Melo’s first year salary cannot exceed the $21 million mark, which is relatively close to his maximum possible first year salary anyway so it shouldn’t be too much of a problem. 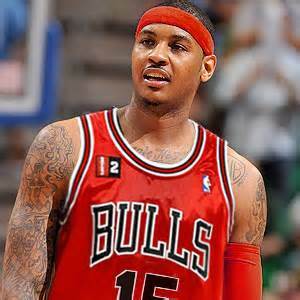 The only question becomes if the Bulls can convince Melo to take his talents to the windy city. 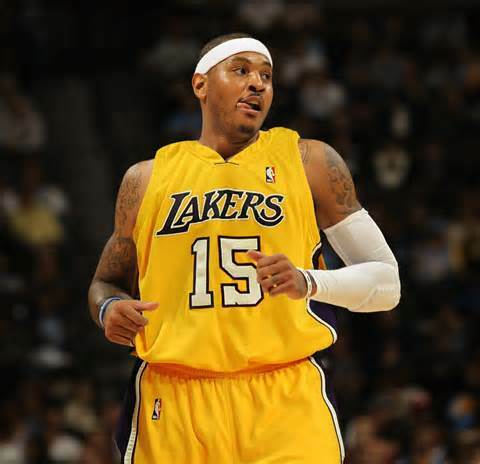 If Melo is going to leave to Knicks, the Lakers and the Rockets are real threats to the Bulls. Los Angeles has always been an attractive place to play and with Kobe and 7th overall pick Julius Randle already in the fold, if Melo signed the Lakers could be in a position to attract another superstar. It should also be an appealing place for Melo because once Kobe’s contract is up in the summer of 2016 it would essentially become Melo’s team and the Lakers would have huge flexibility in terms of cap space. The Lakers also have the cap space where they don’t have to deal with a sign and trade like the Bulls would have to in order to give Melo the max. The Rockets could also have the cap space to sign him outright if they trade Jeremy Lin and take back no salary in return (which is a trade they say they have in place). The Rockets situation is enticing. They have two superstars in Dwight Howard and James Harden, no state income tax, and a young exciting, up and coming roster. Their GM Daryl Morey has built this team through a series of extremely savvy moves that should instill confidence in Melo that he could continue to keep the Rockets a contender well into the future. However, the most likely scenario is Melo returning to the Knicks. They can offer him the most money, it’s his home and it’s what he knows. Because of the real possibility Melo doesn’t come to Chicago, the Bulls must have contingency plans. The plan before Melo started considering the Bulls was to make an offer to Lance Stephenson. He could fit in well in the starting lineup next to Rose and Jimmy Butler. He could take some of the pressure of creating offense away from Rose, who if we remember (a while back I know) often had to do everything on offense. Lance also plays good defense on the perimeter and fits in well to what the Bulls have in place. A lineup with Rose, Stephenson, Butler, Taj Gibson, and Joakim Noah in Tom Thibodeau’s scheme would be stingy defensively. The Bulls would have to deal with Lance’s antics but they have to strong locker to keep him somewhat in line. He would do well, however, with the high amounts of money going to marginally talented free agents early on, Stephenson might become a little pricey. He apparently has not accepted 5 years and $44 million from the Indiana Pacers. Another option for the Bulls if they miss out on Melo would be to put in an offer on restricted free agent Chandler Parsons. He is a do it all forward with a nice shooting stroke. With the ability to shoot, defend, pass, run a little pick and roll and create a little offense for himself and others he would be a big help to this Bulls team on both sides of the ball. He’s not a star by any means but he is young and getting better every year. Going after Parsons or Stephenson could only happen after the Bulls are sure they cannot get Melo. Because after the Bulls amnesty Boozer (as he would have to be for the Bulls to sign anyone using cap space) it becomes a lot more difficult for the Bulls to sign and trade for Melo and the trade would most likely have to include Gibson, who the Bulls do not want to give up. The Bulls best contingency plan may be for them to bring over their 2011 first round pick Nicola Mirotic from Spain as their main summer addition and saving cap space for the next couple off seasons. It would be unwise for the Bulls to sign a long contract for a good player and cost themselves the chance at a great one. The Bulls offseason hinges on Melo’s decision. If he decides to go elsewhere, it becomes harder for the Bulls to get into position to make a championship run this season. However, the Bulls still have a great core and enough assets to continue to compete for the foreseeable future. They should not limit their future financial flexibility and ability to get a star player by making a rash decision with their potential cap space this offseason.